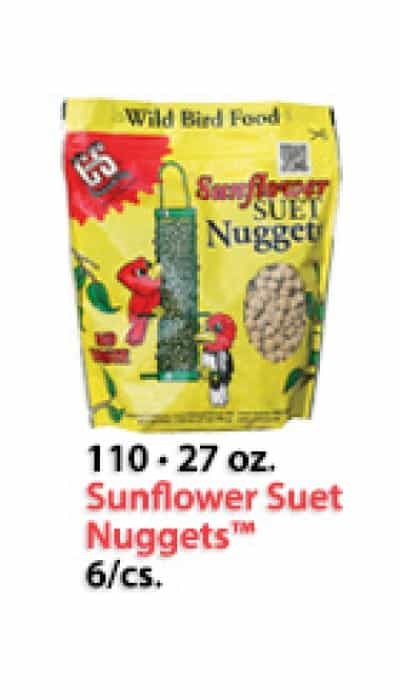 C&S has revolutionized the wild bird feeding industry once again with our new NUGGETS™ bird feeding formulations designed for suet, fruit and insect eating wild birds. 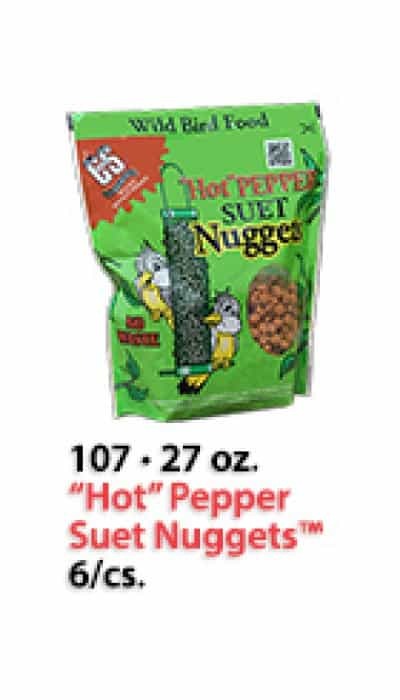 Our NUGGETS™ line is packaged in resealable bags and are available in four new flavors to attract more songbirds. 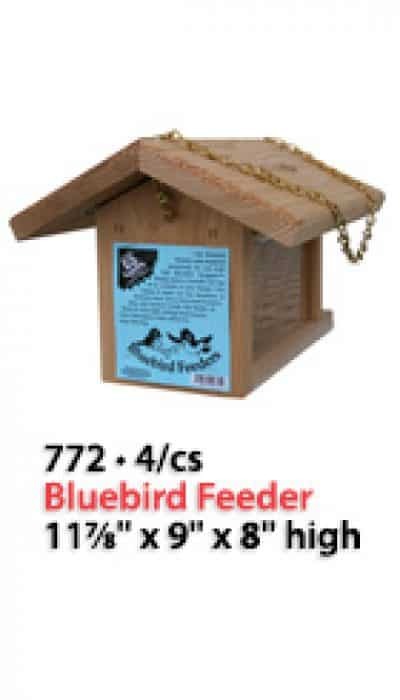 If you are a serious birder, or even a beginner, this ready to feed wild bird food has a high energy suet base, which means both no waste and no mess! 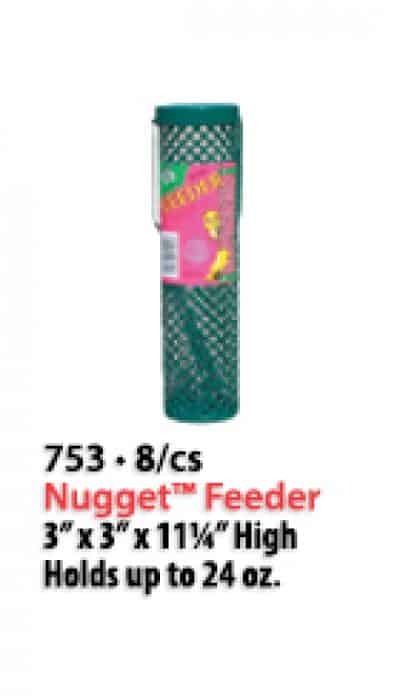 C&S NUGGETS™ can be fed alone on a platform feeder or Nugget/Peanut/Sunflower feeder using 1/3″ wire mesh. 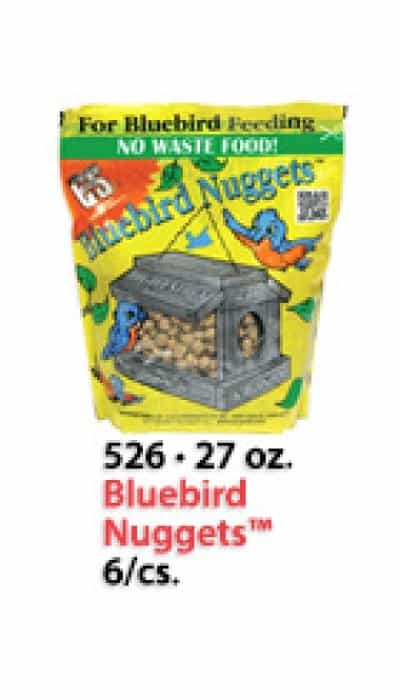 To adapt bluebirds to this food source, start by putting a small amount of Bluebird Nuggets on the feeder ledge. 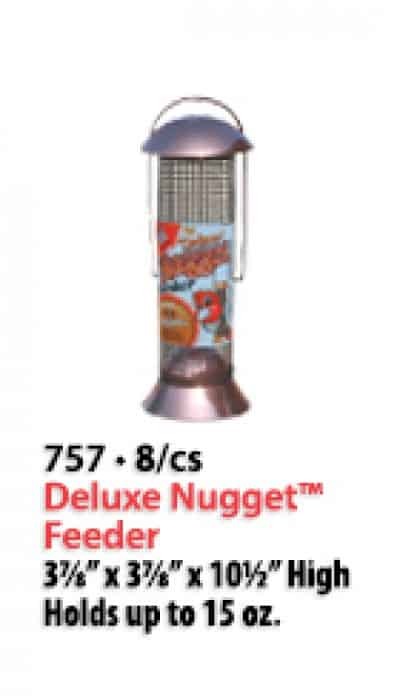 Once the birds discover the Nuggets, move them inside the feeder. 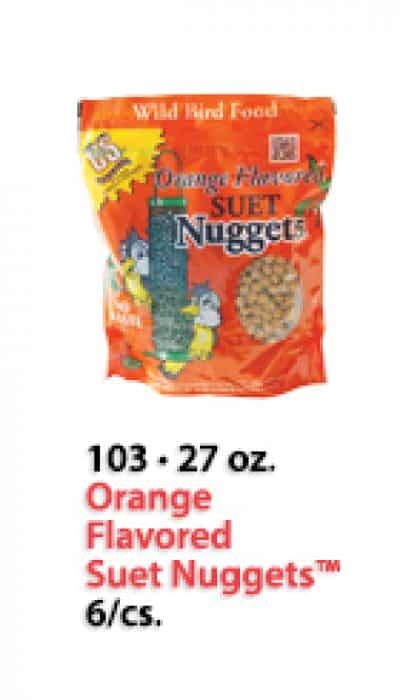 NUGGETS™ can also be blended with 5-10 lbs. 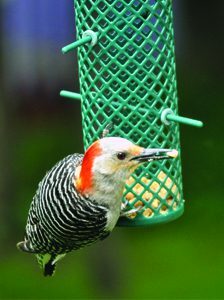 of your favorite wild bird seed mix. This mix may then be fed from tube or hopper style feeders. 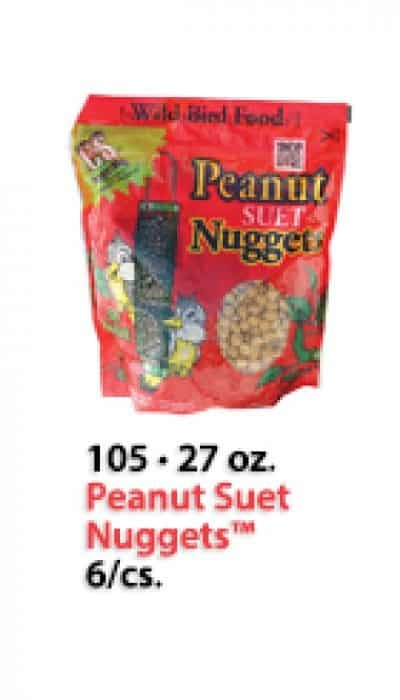 C&S NUGGETS™ products represent quite a departure for the industry. 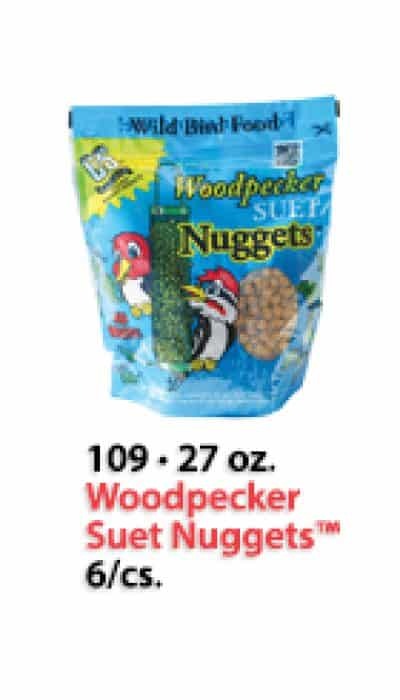 Independent testing shows wild birds love them and they are easy to use and refill – and come in a handy resealable bag. They will provide you and your family hours of enjoyment from watching nature in action. 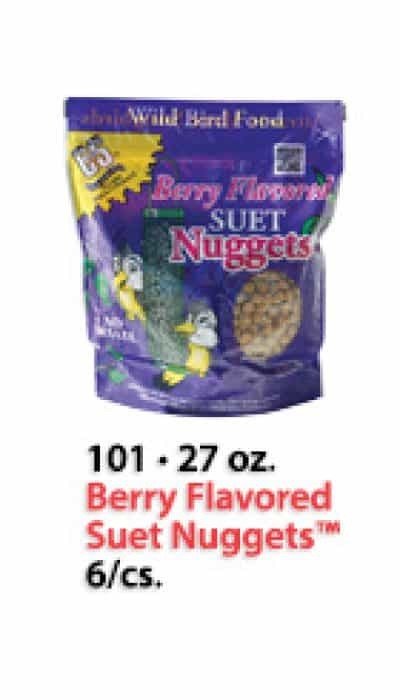 If you wish to have more information about a particular NUGGETS™ item, select from the list to the below and you will be directed to that product’s information.